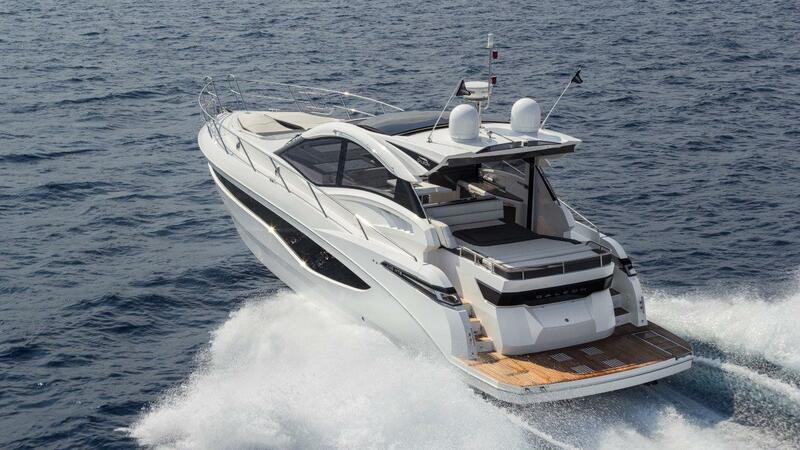 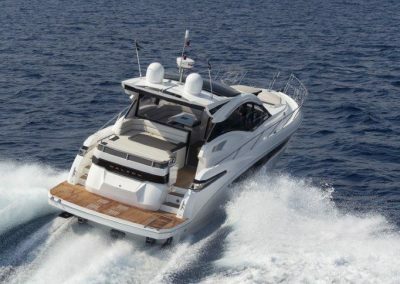 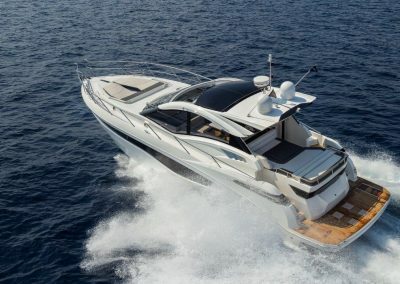 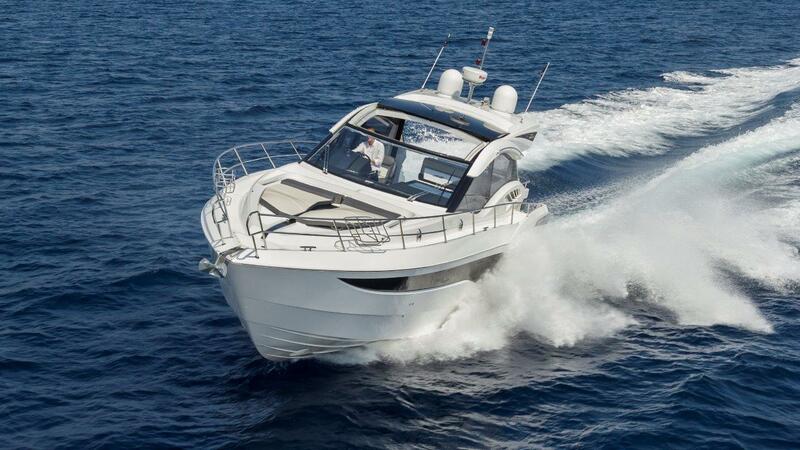 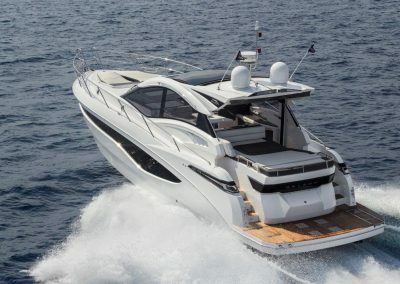 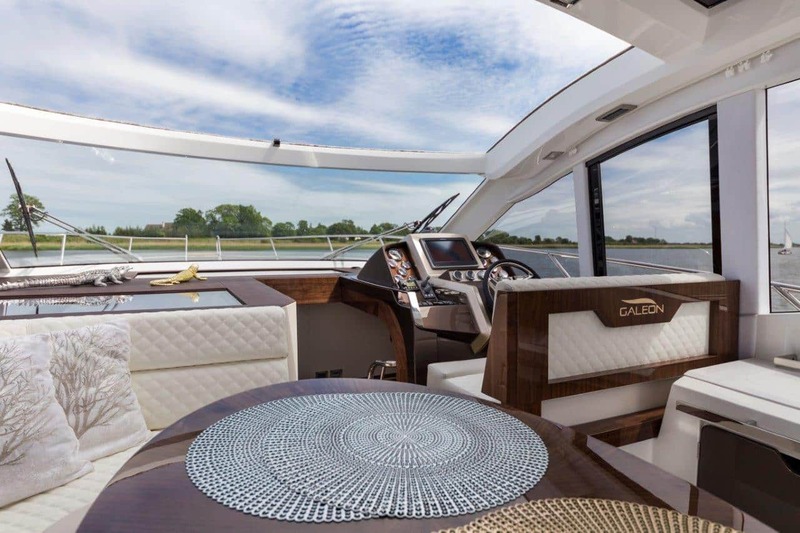 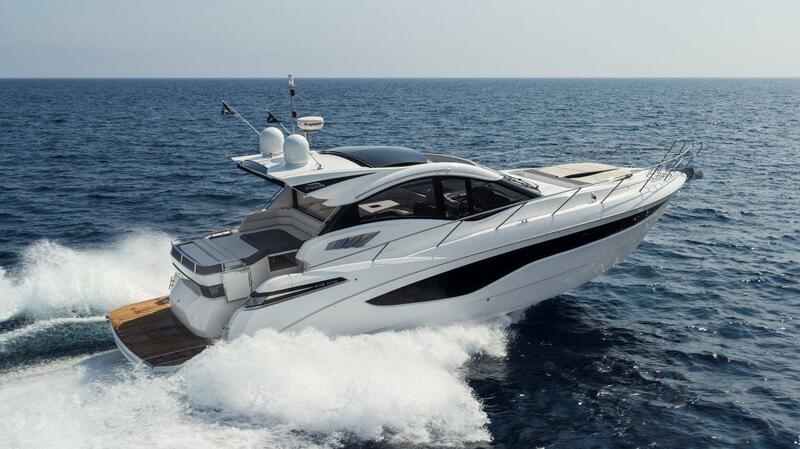 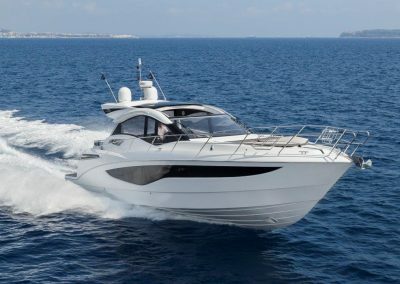 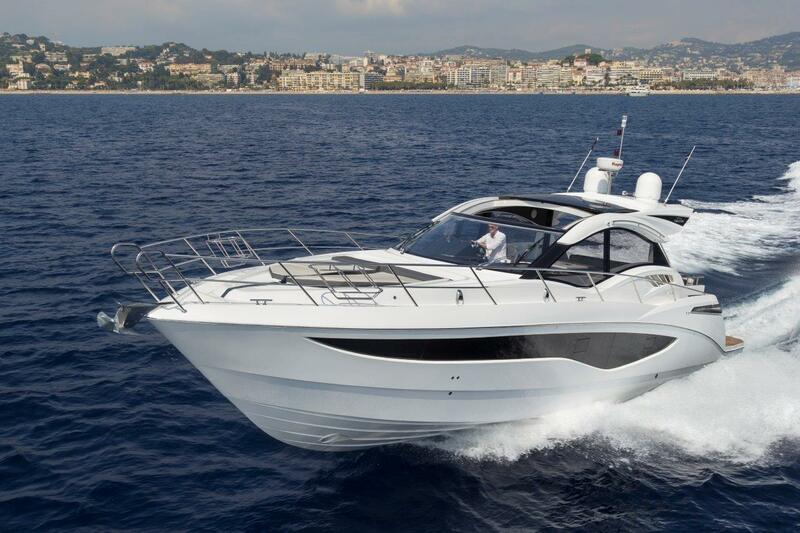 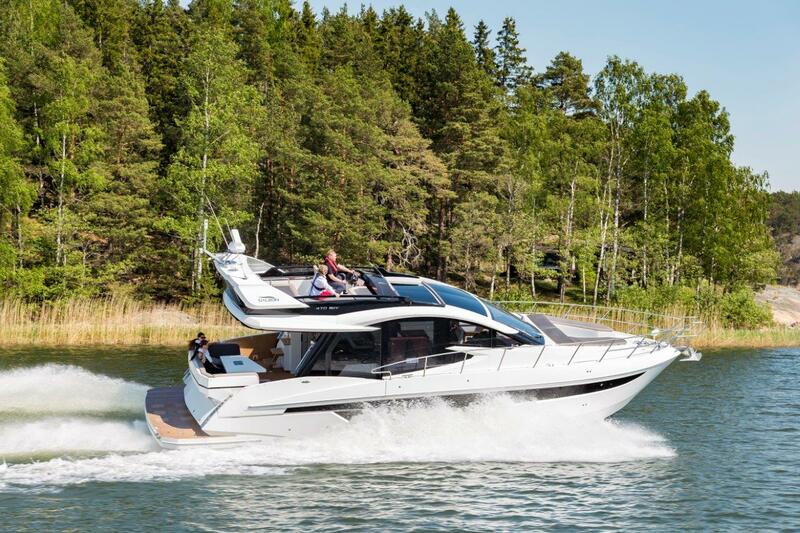 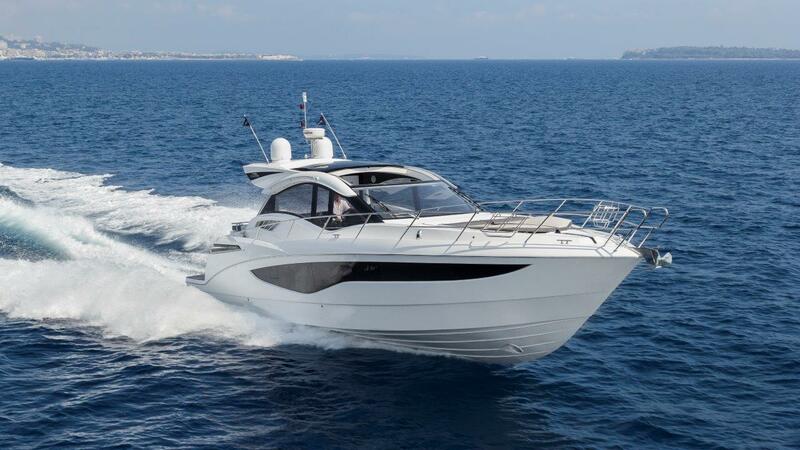 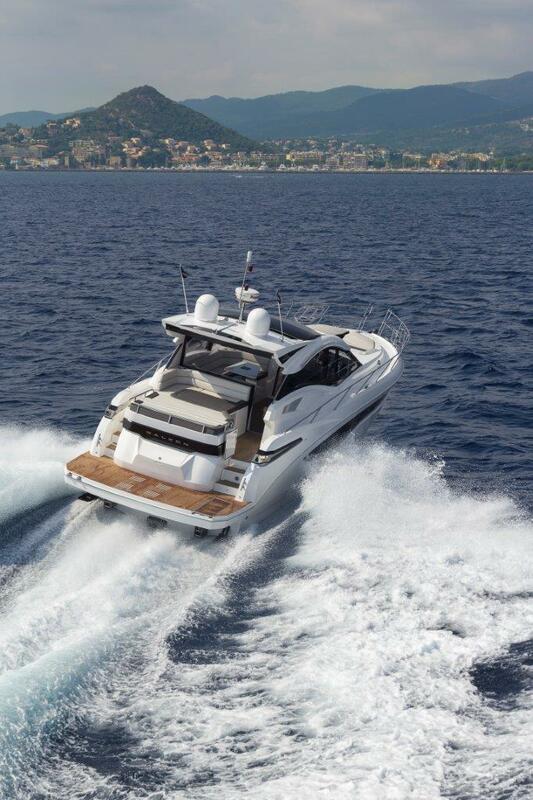 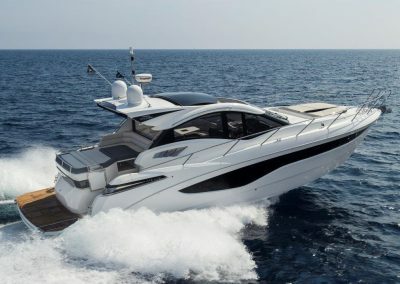 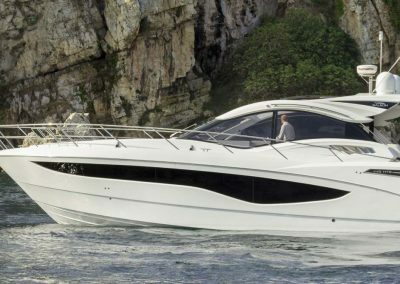 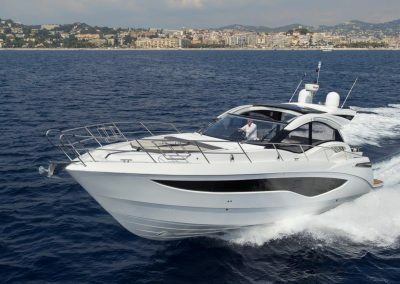 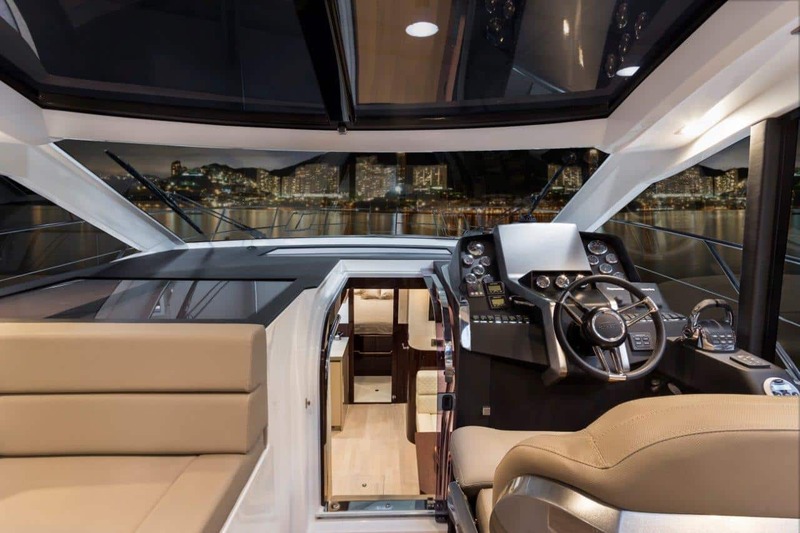 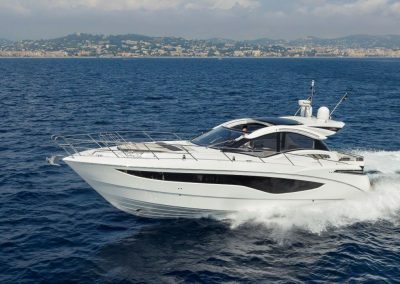 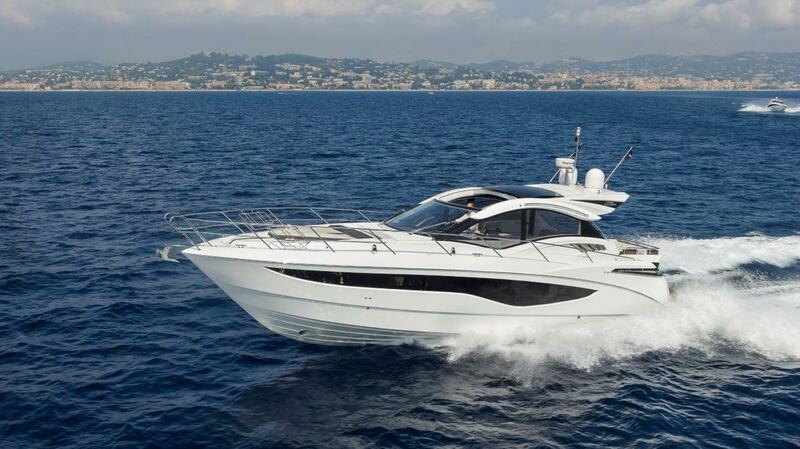 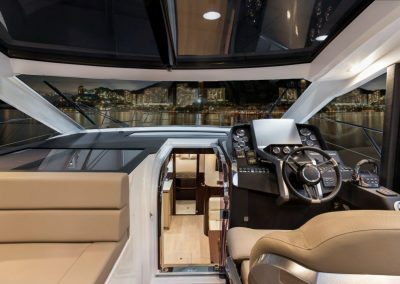 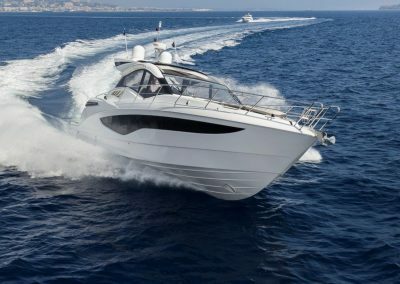 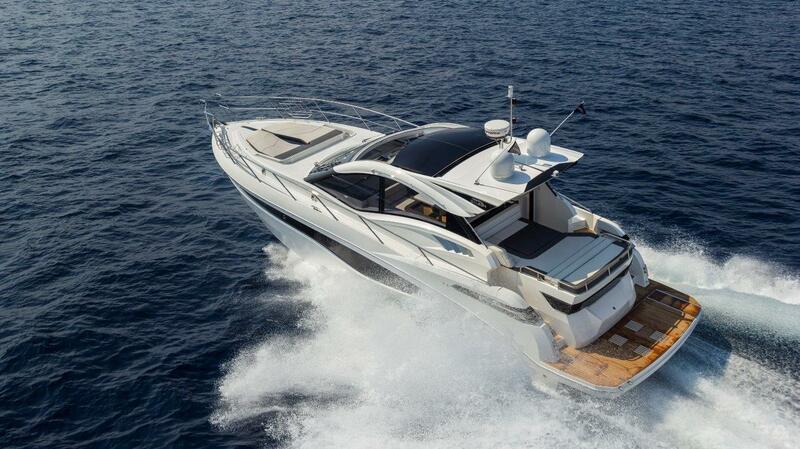 The 485 HTS joined the amazing third-generation Galeon model lineup with its brilliant, awe-inspiring design. 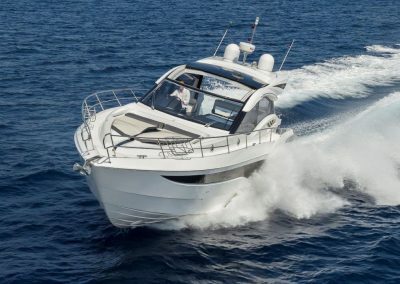 This sports-oriented, open deck model, focuses on providing high manoeuvrability and a thrilling ride while still maintaining an exceptional level of comfort. 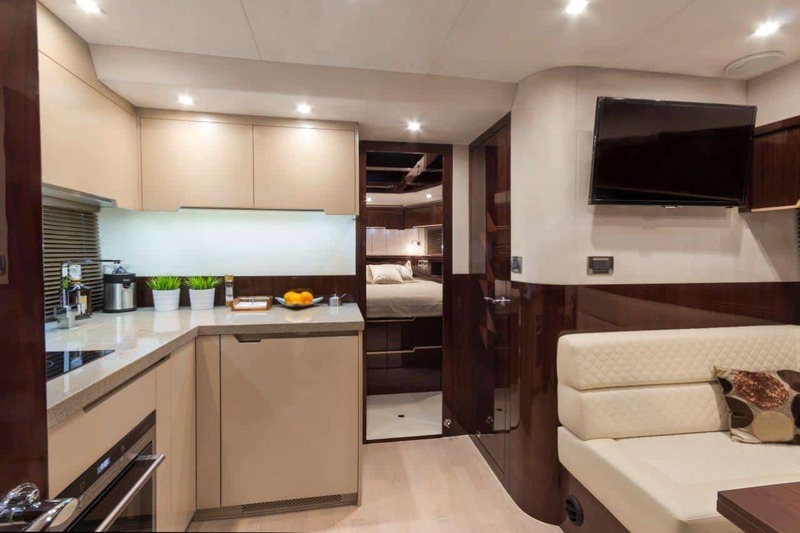 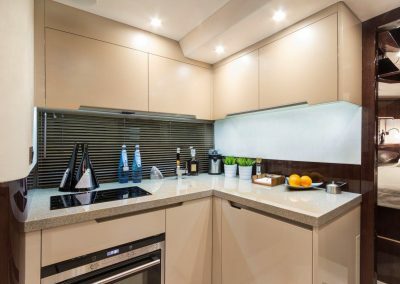 The layout of the 485 HTS was conceived to offer a convenient and spacious living arrangement. 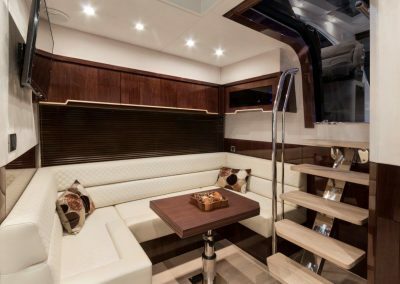 The main deck features a U-shaped sofa, wet bar and a helm station with double seats. 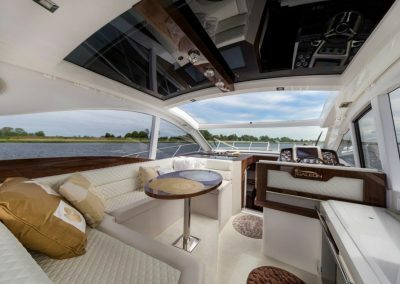 The cockpit area is occupied by a settee and sundeck and can be divided by retractable glass doors to help keep the elements at bay. 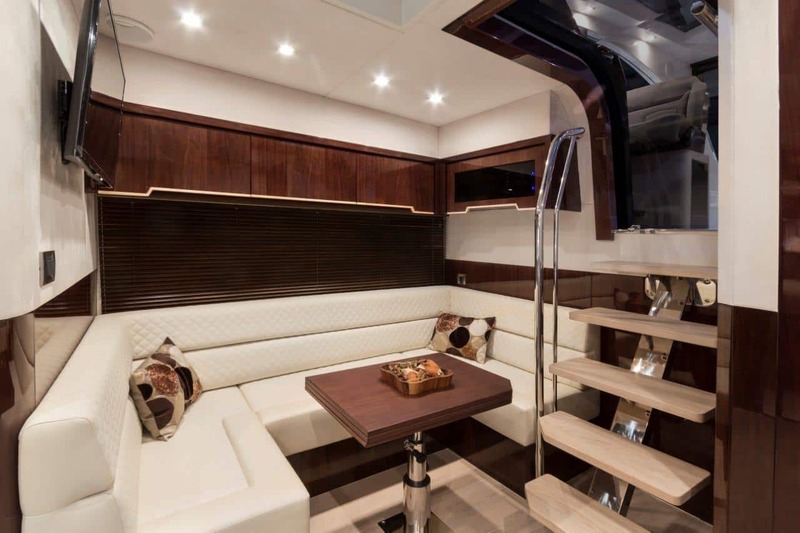 Select a smaller garage option to take advantage of the larger U-shaped sofa for the guests. 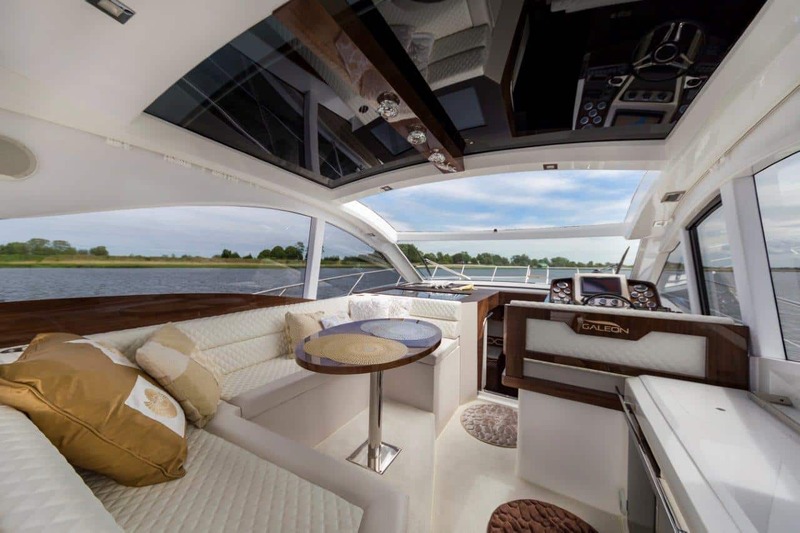 Wide sidedecks on both sides lead to the bow where an additional leisure area awaits. 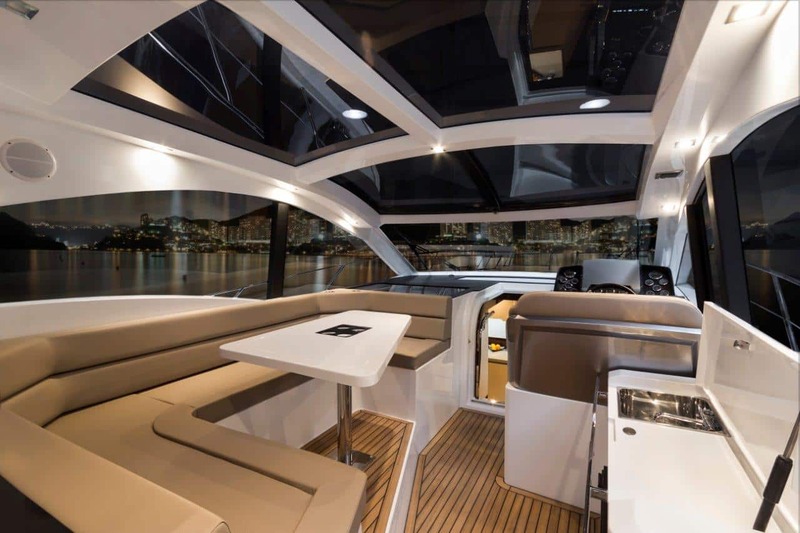 Down below an abundance of natural light penetrates the interior, with a large, glass ceiling over the helm station and ample bow skylights. 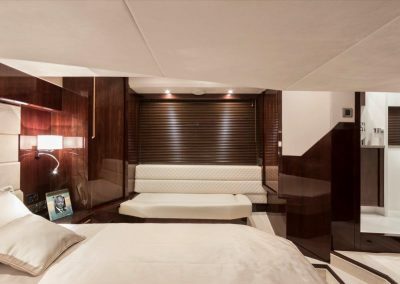 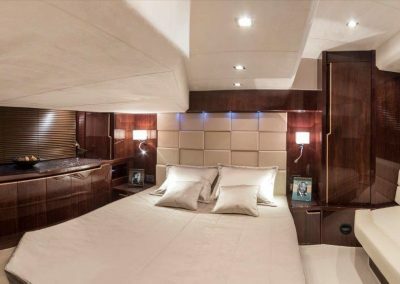 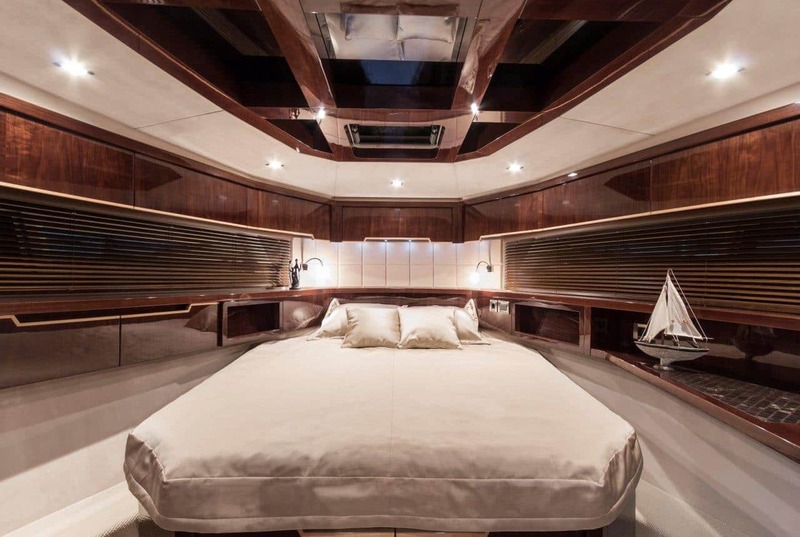 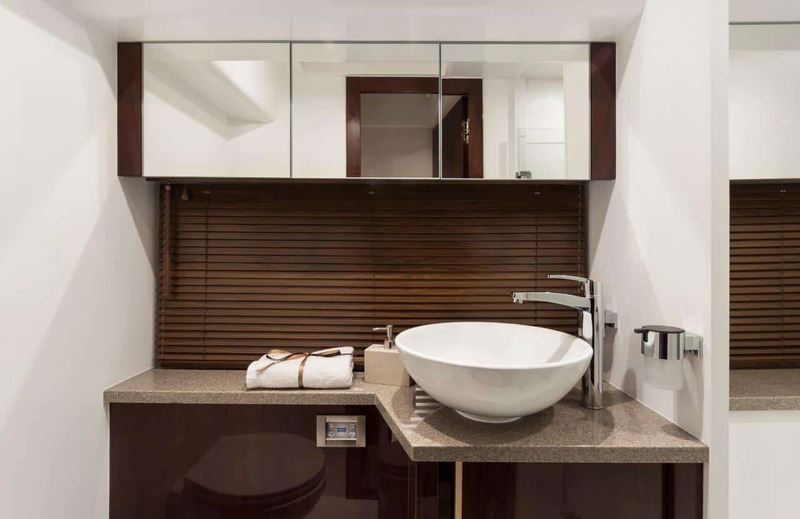 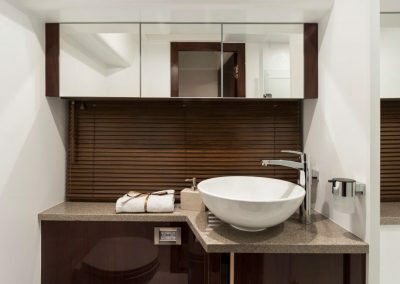 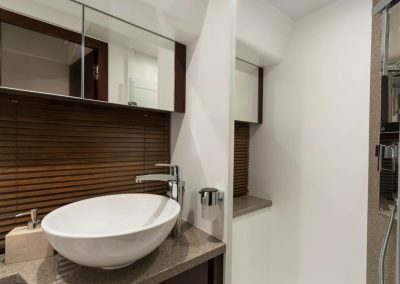 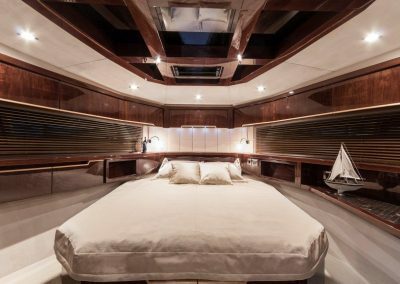 Comfort and convenience have not been neglected: the master cabin, located midship, boasts an en suite bathroom for added privacy. 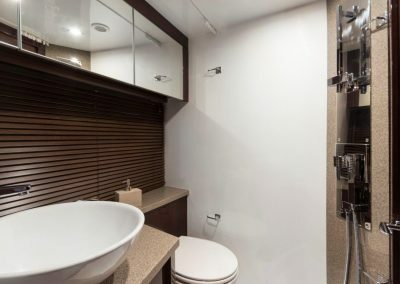 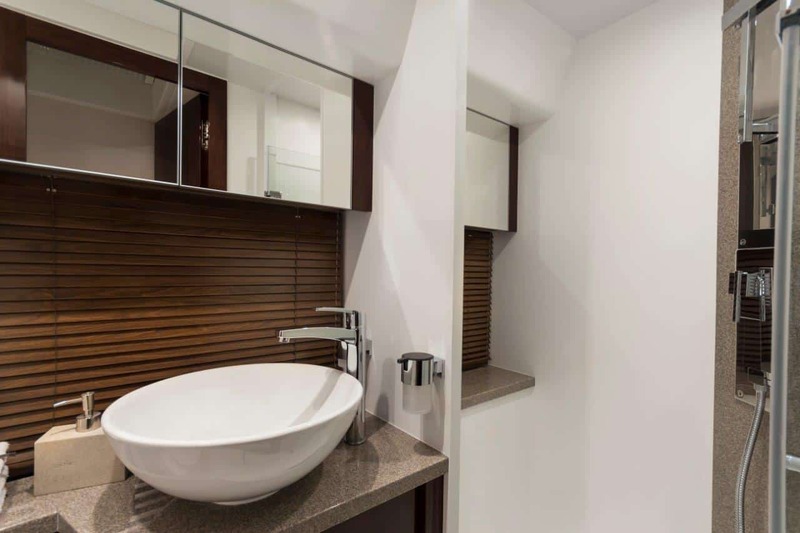 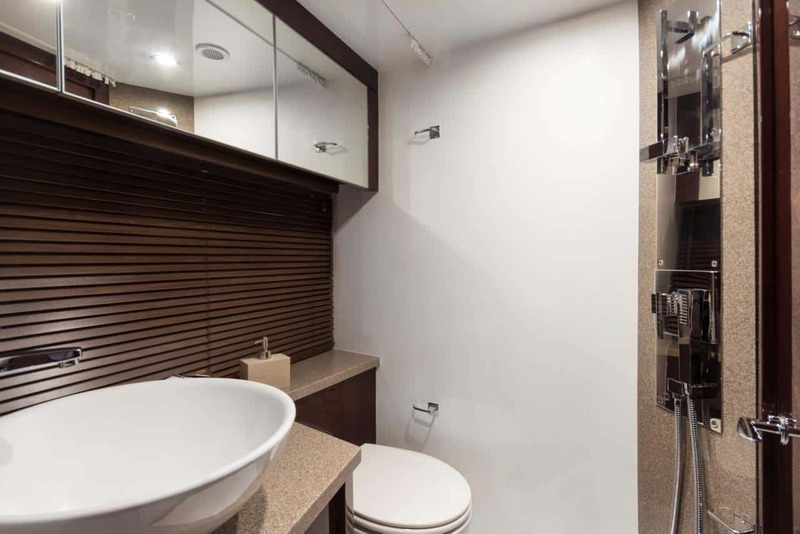 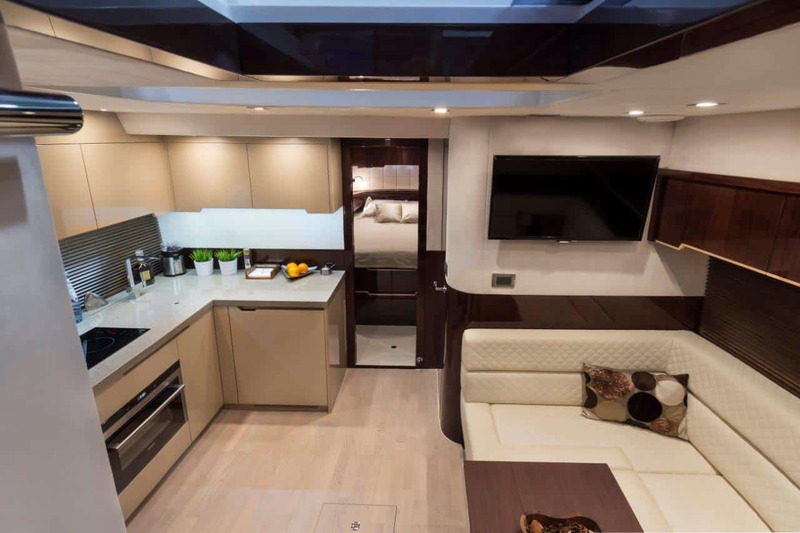 The guest cabin holds the bow and has direct access to the common areas: galley, lounge and an additional bathroom. 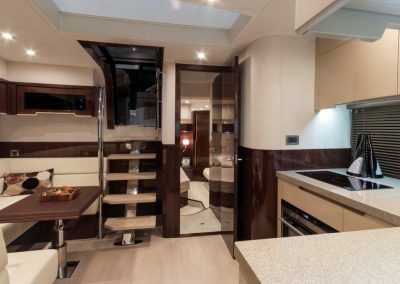 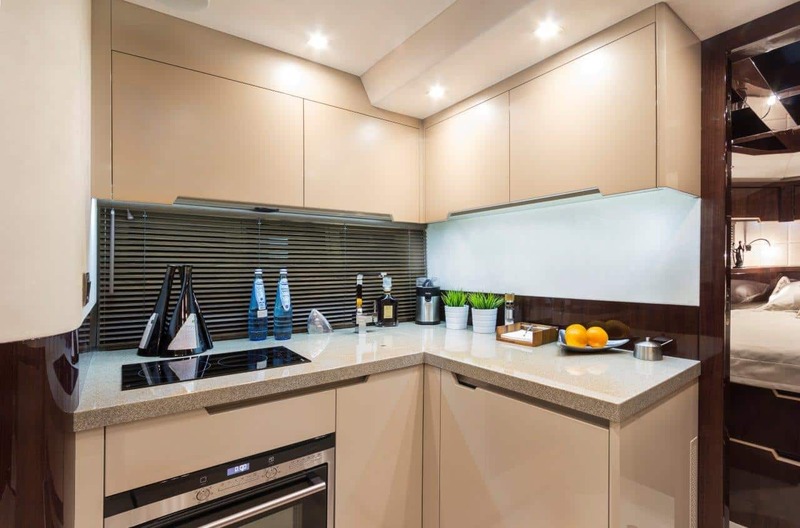 Take advantage of the large hydraulic garage and platform to handle all personal water paraphernalia including dinghies and jet-skis. 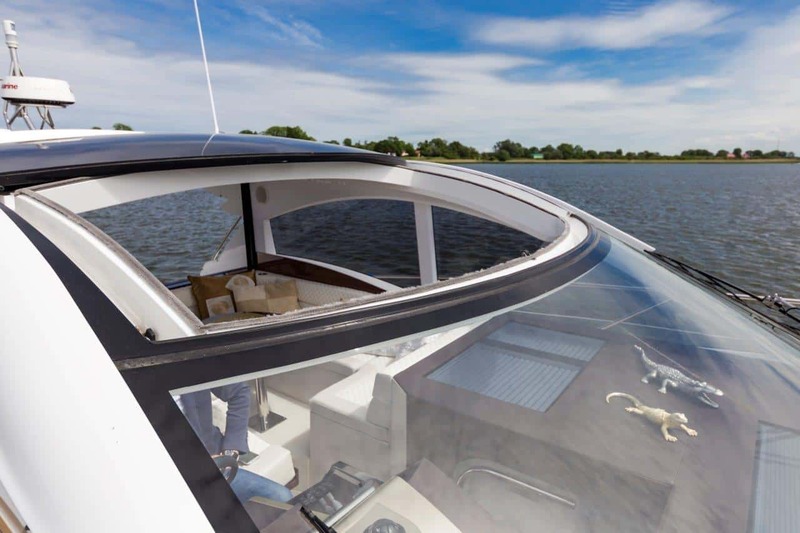 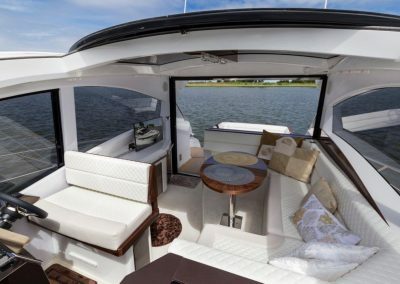 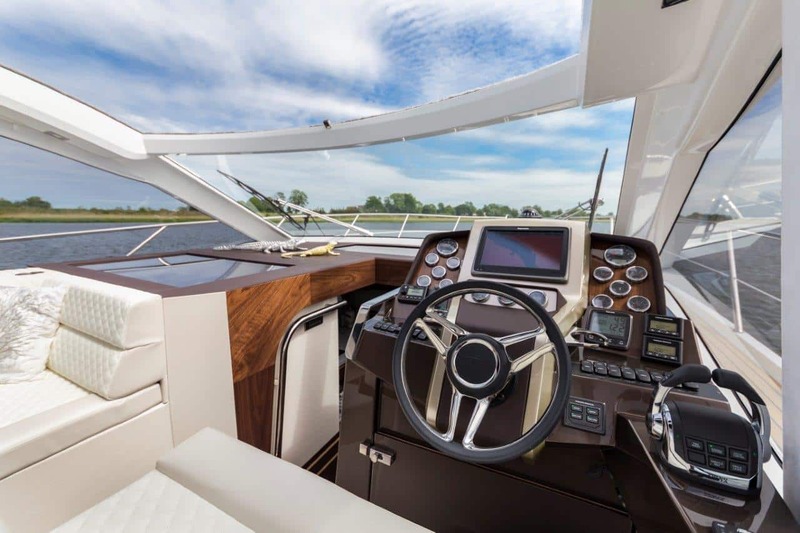 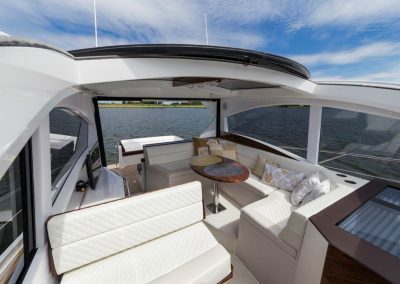 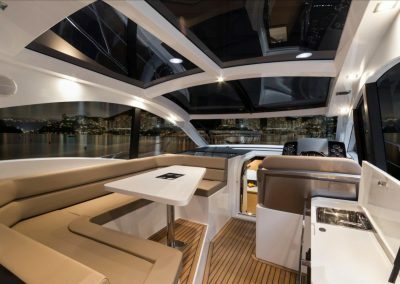 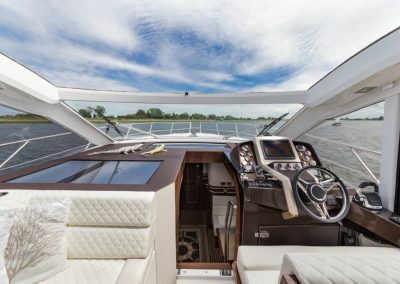 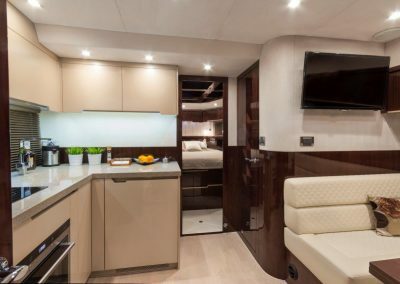 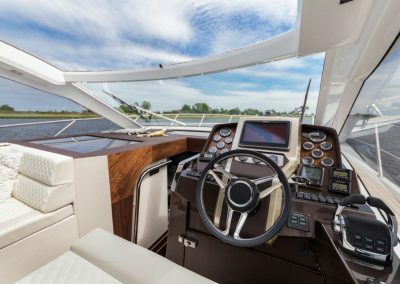 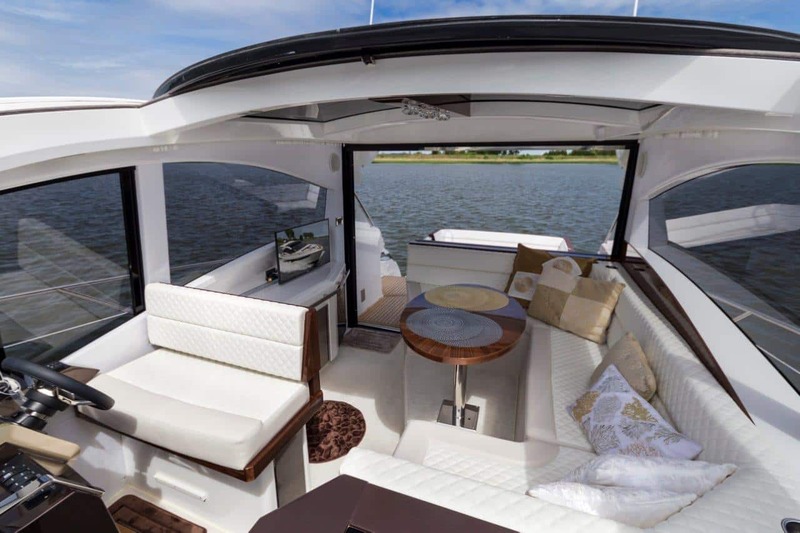 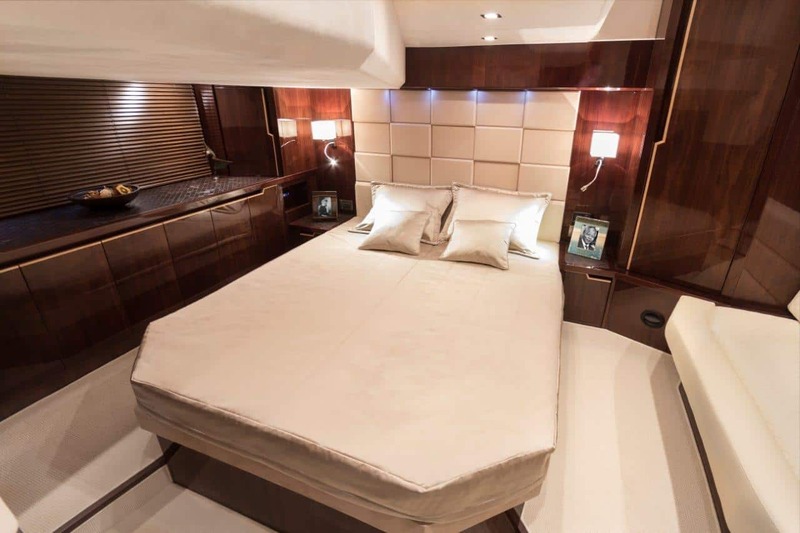 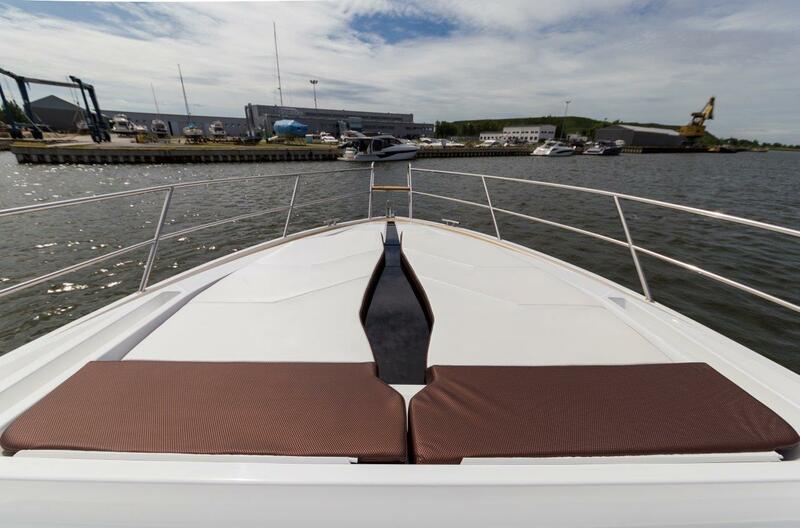 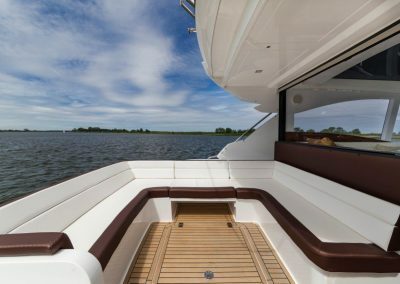 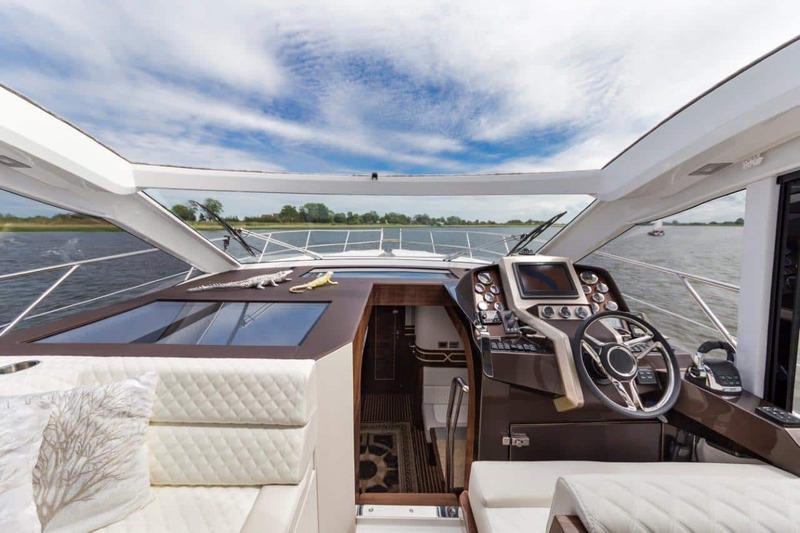 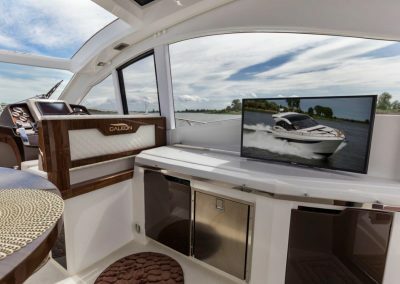 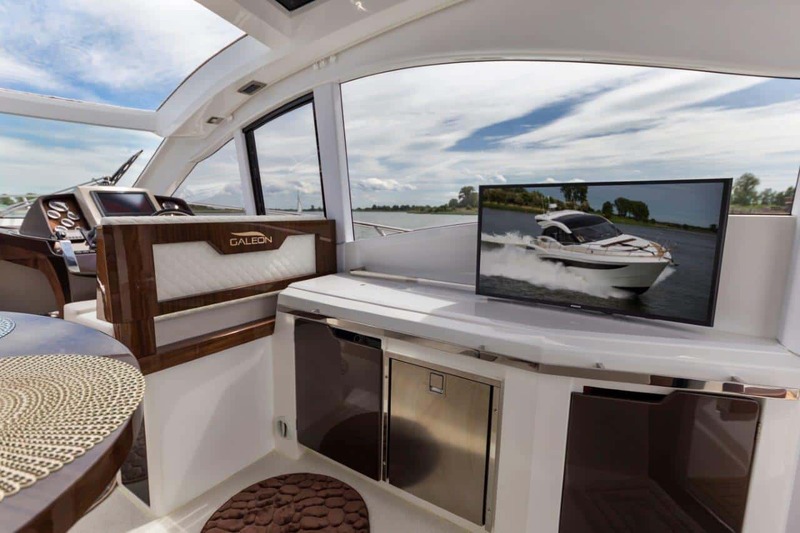 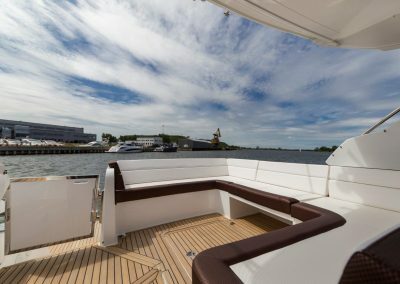 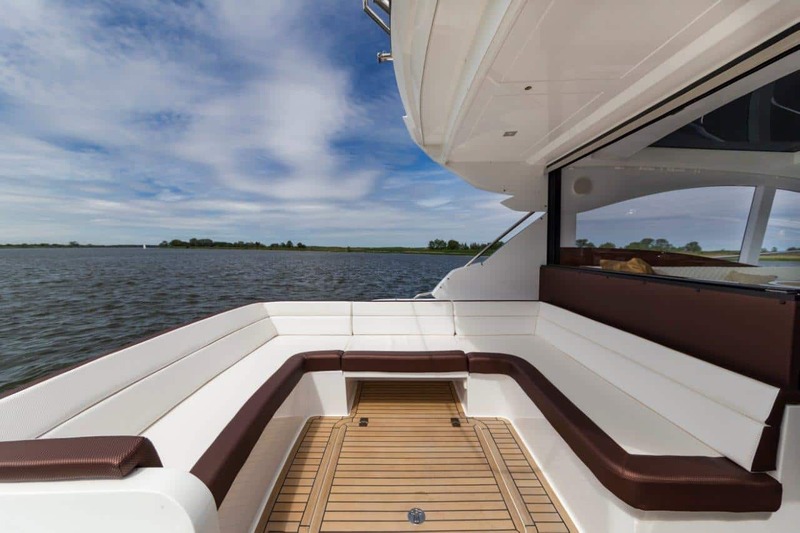 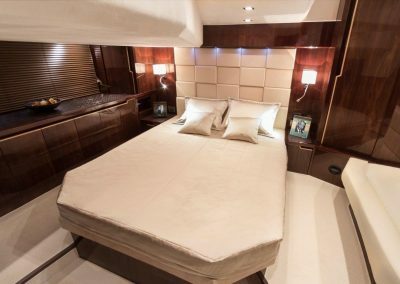 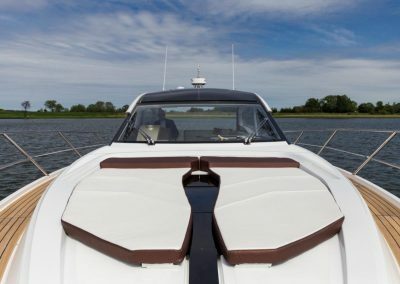 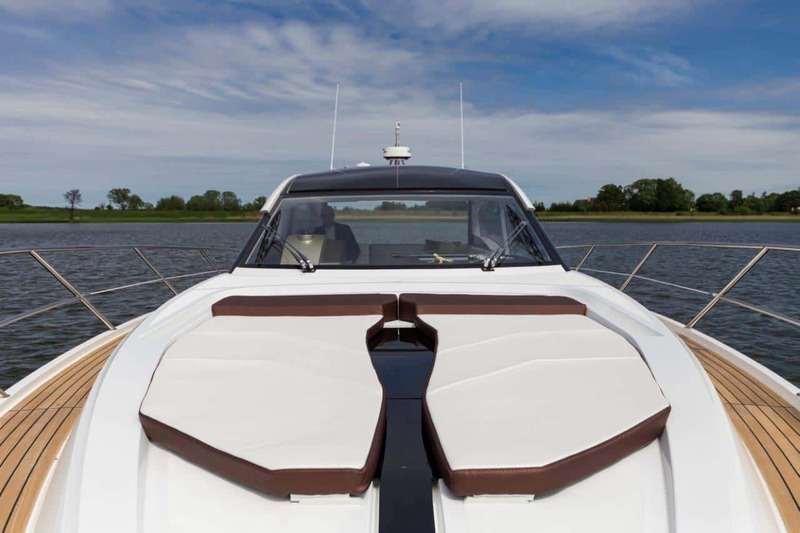 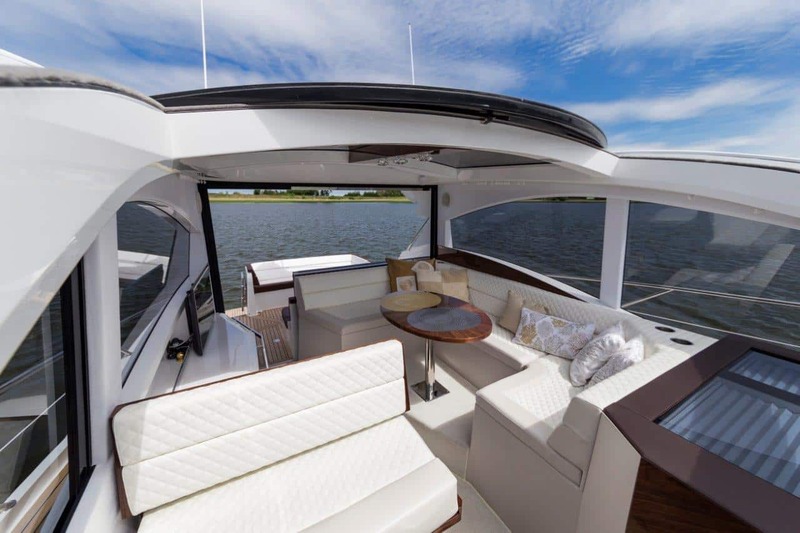 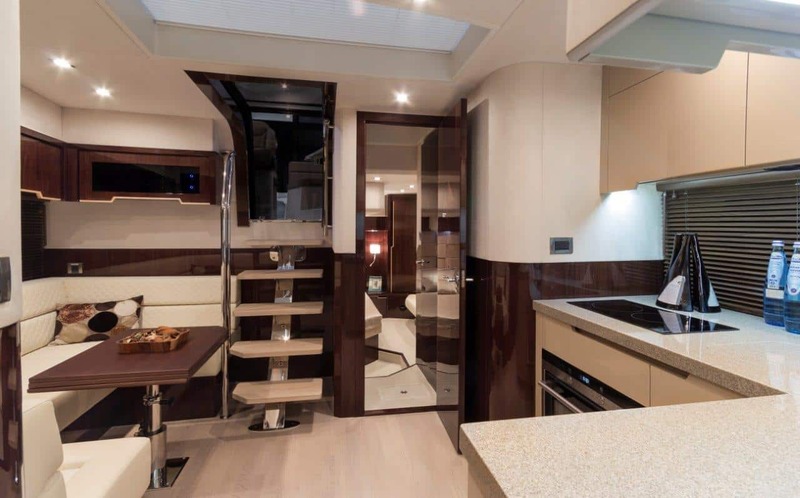 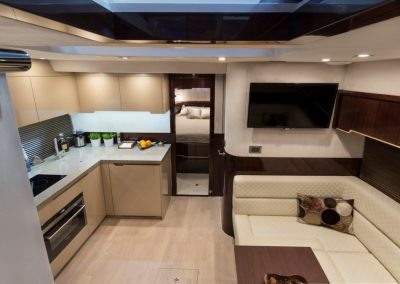 Passengers will surely enjoy the bow leisure area with a protective bimini as well as the large sundeck in the cockpit shaded by the automatic marquee system. 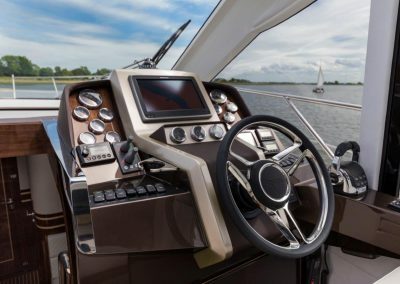 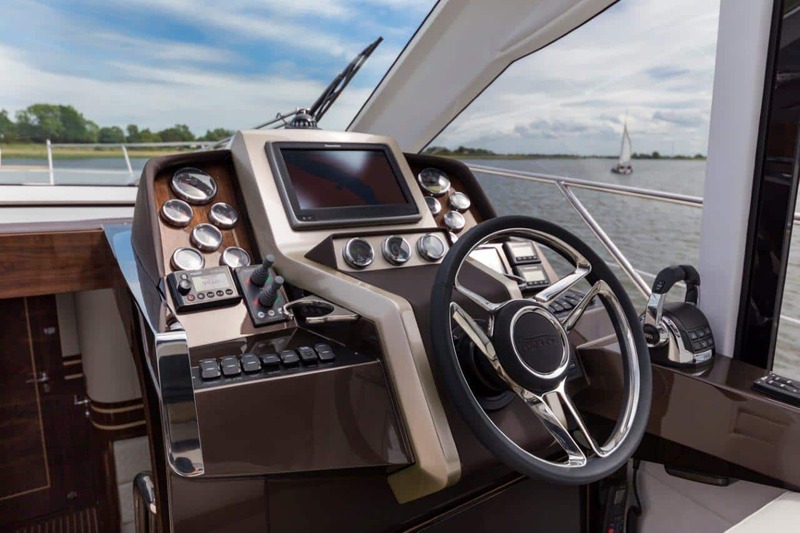 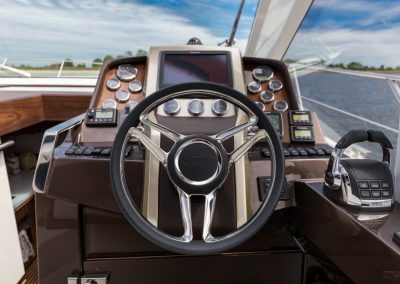 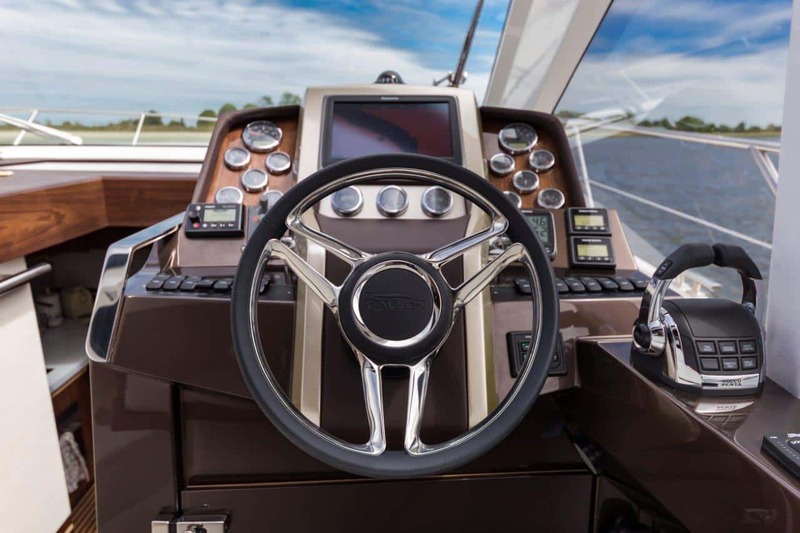 A wide range of engines with IPS or sterndrive propulsion systems is available along with a comprehensive list of additional equipment and several interior design lines.